Around 1,113 facilities, including 252 new sports complexes and 861 sports halls at schools were built within 10 years from the beginning of the Uzbek Children's Sports Development Fund at the expense of the organization. Around 262 existing sports facilities were reconstructed. Around 92 children's sports facilities and 16 swimming pools were built and reconstructed in 2012. Over 570 billion soums were allocated from the fund for these purposes within 10 years, Uzbek President Islam Karimov said at the meeting. The President said that at present, around 81 percent of 9,600 schools have newly constructed and reconstructed gyms. All 1,549 colleges are fully equipped with modern sports facilities. Currently, 114 of 120 kinds of sports equipment are produced at the enterprises of the country. "The most important result of our work is that more than 1.8 million children, which is 1.4 times more than in 2003 go in for over 30 kinds of sports in 57,500 sports facilities," he said. More than 23,000 sports events were conducted in 2003-2012, including rural areas - about 17,000. More than 10.5 million children, including 7.6 million children living in rural areas attended them. The number of coaches increased by 1.7 times in 2012 compared to 2003. Around 4,000 children attended 333 international sports events, festivals in 2005-2012. "It should be stressed that our young athletes showed their will to win and gained 922 medals, including 363 gold, 282 silver and 277 bronze medals," Karimov said. "They won 204 medals, of which 81 gold , 61 silver and 62 bronze medals in 2012." 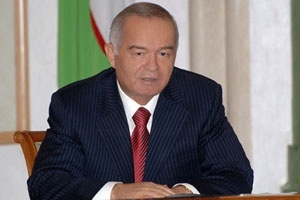 The President expressed his gratitude to the heads and employees of companies and organizations, firms, entrepreneurs, representatives of foreign business who made a contribution to the development of children's sports in Uzbekistan. The Uzbek Children's Sports Development Fund was established by President Karimov's decree in October 2002 to popularize the sports among young people.